Frank V. Dudley (1868 - 1957) started as a house and barn painter, then portrait painter and photographer. He also did landscape painting around the Chicago, Wisconsin, and Indiana areas. He and his brother Clarence would paint and photograph the Indiana Dunes area, but generally in the summertime, so they didn't think it so interesting. Then one day they went to the Dunes in the fall sometime in the early 1900s. Frank fell in love with the dunes because of the fall colors. Also during the first part of the 20th century, hiking and outdoor clubs were popular in the area. Their purpose began simply to enjoy hikes and activities in the area. As industry started moving in, wanting to take the area for steel mills and other developments, the clubs started advocating for preservation. 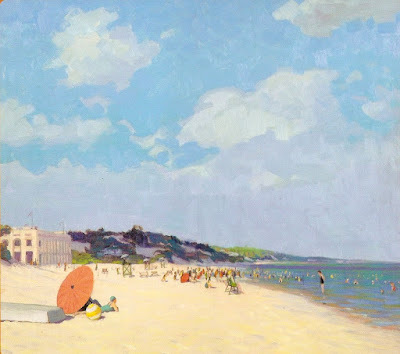 One of the tools used to promote Indiana Dunes preservation was Dudley's painting. As explained in The Indiana Dunes Revealed - The Art of Frank V. Dudley (Brauer Museum of Art, Valparaiso University and University of Illinois Press, 2006) Dudley "dedicated forty years of his professional life as a landscape painter to the promotion and preservation of the Indiana Dunes along the southern shores of Lake Michigan." 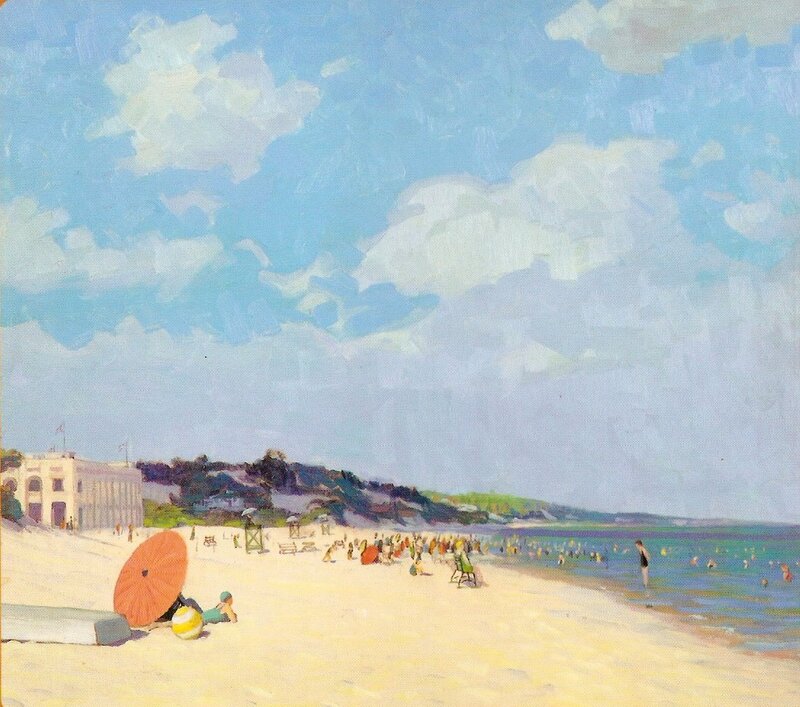 Despite the heavily industrialized areas of Northwest Indiana, Indiana Dunes State Park was established in 1925 and Indiana Dunes National Lakeshore in 1966 thanks in part to the painting by Frank Dudley and the work of The Prairie Club and Save The Dunes, among others. This is an example of using whatever gifts and talents you may have for a cause you believe in. What can you do to promote your cause? I am so thankful that they did save as much as they did for future generations.